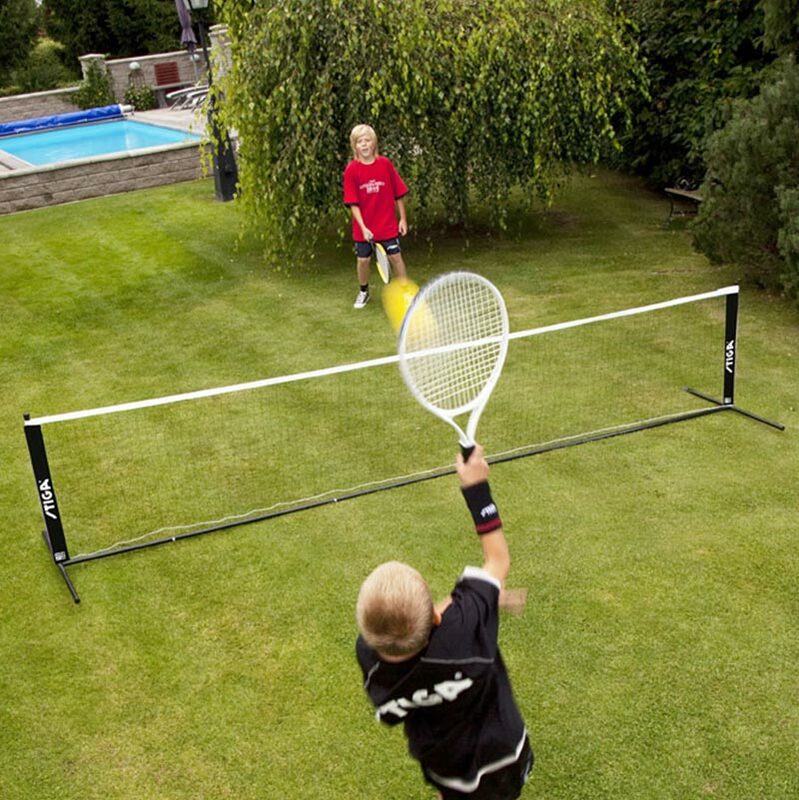 Stiga ® Mini Tennis Set, ideal for garden, park or any hard indoor or outdoor court. 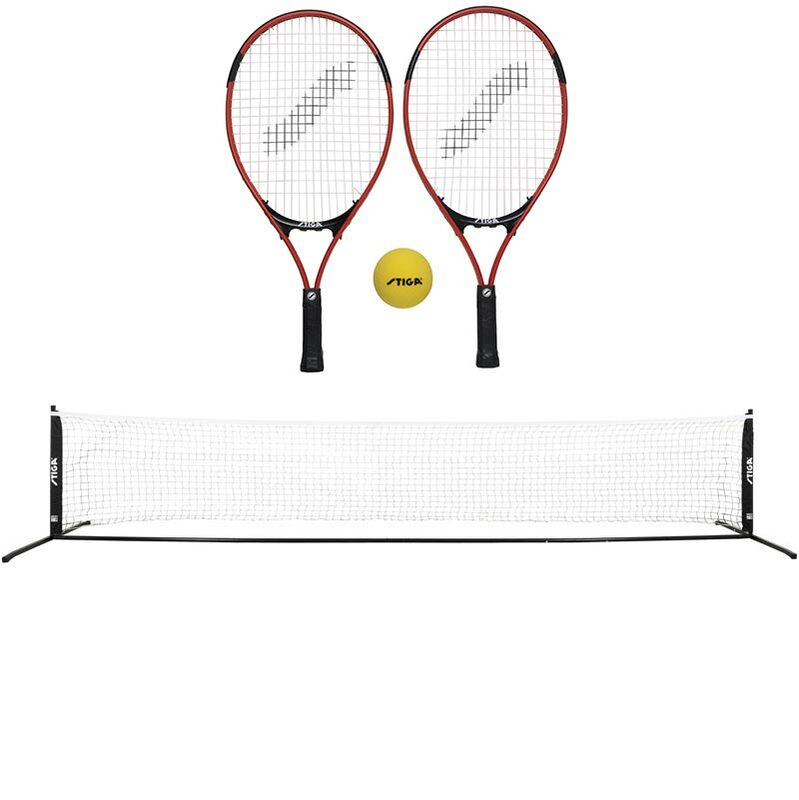 2 x Rackets (21" - 53cm). 1 x Net and post system (365 x 70cm LxH). Colour of rackets may vary. This is a really good set. Easy to put up and comes with a bag to store all the parts. Would definitely recommend. 5 out of 5 Stiga - A Winner!! Best set on the Market!! Fantastic value for money and a big hit with the kids!! No pun intended lol! !